These rules go into effect March 1st, the same time new fishing licenses go into effect. 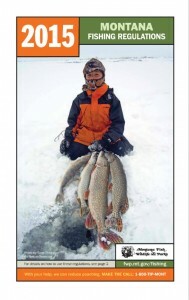 Of course, don’t forget to pick up a hard copy next time you’re at the fly shop and throw it in your boat or gear bag. There have already been a couple of changes made since this came out a short while ago, so be sure to check back in on the web page from time to time to keep up on those as the season progresses.